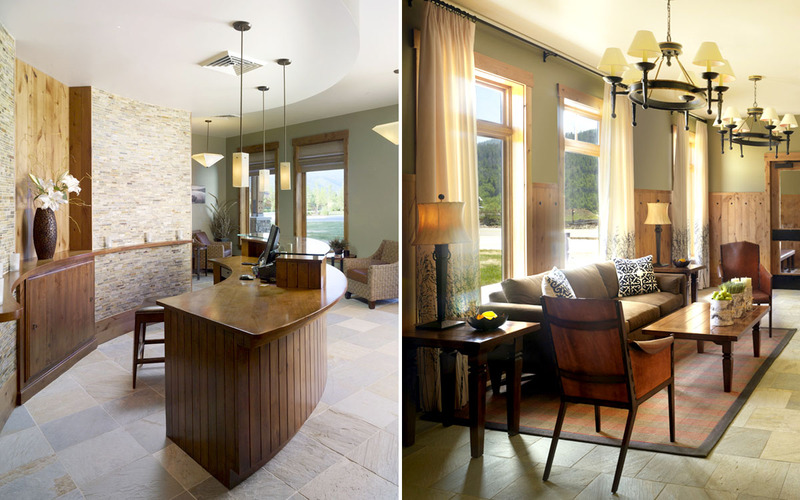 Teton Springs Lodge offers a combination of Western charm and refined modern living. 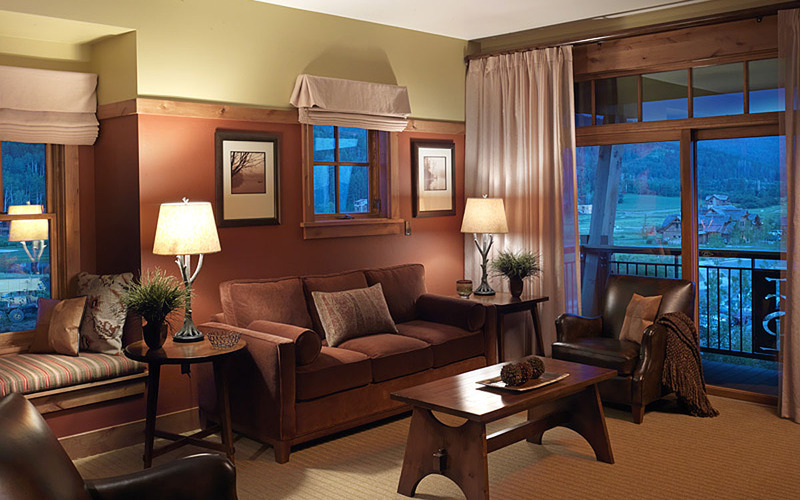 The suites are designed to acknowledge the rustic outdoors while offering the comforts of modern convenience. Each unit contains a full kitchen, living room with gas fireplace, master bedroom, and private bath with a large air jetted tub. 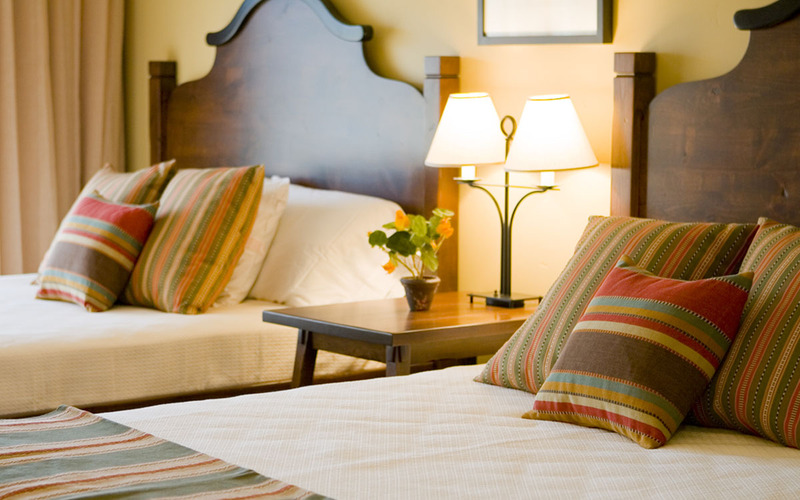 The rich material palette in the guest rooms provides color and texture. 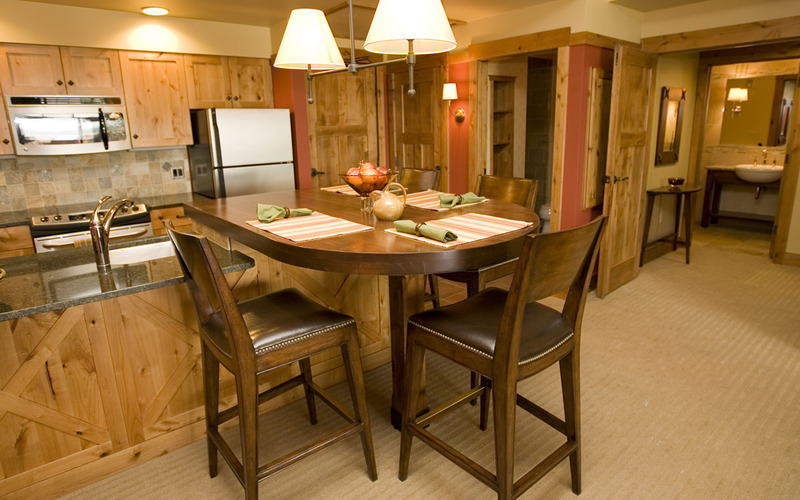 The knotty alder paneling and trim, granite countertops, and locally crafted furnishings all add to the appeal of Western life. 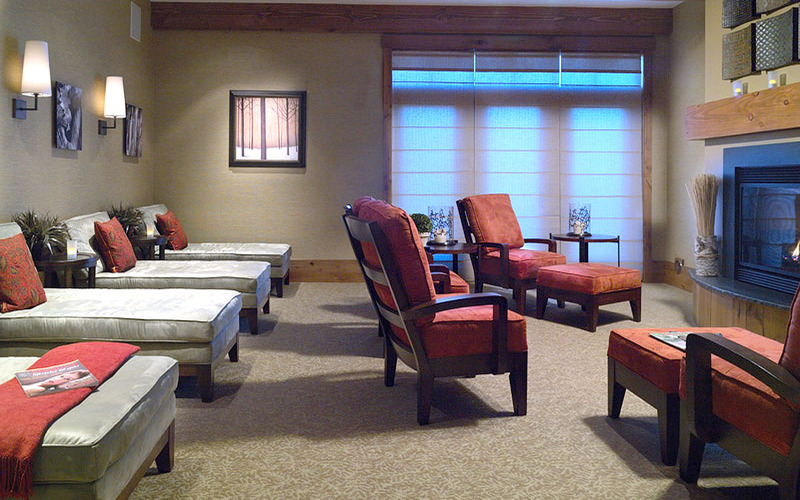 The soothing palette in the spa and salon complement the rustic setting of this mountain and stream resort, providing a relaxing oasis for guests.